You have probably seen lots of news stories about kids who are as young as 7 developing iPhone and Android apps and maybe you started wondering “Why isn’t my kid doing that”? Unfortunately, it’s not necessarily an easy thing to make an app. While it is super awesome if kids are interested in actually creating technology and not just playing with it, before we get going we’d like to give a little warning about how much work it actually takes to make an app. If you look closely at the stories of kids who are developing games and applications there is usually a programmer parent or at minimum a parent who is involved in IT in some way. The kids who are doing this are generally kids who have been introduced to computer programming at an early age; so while, yes, it is possible for kids to make apps, in all likelihood if your kids are super keen to create their own programs and games they will need someone (parent, teacher, relative) who can help them with some of the more difficult parts of creating something (especially if they want to do it from scratch or are using a third party platform). Anyway, since there are kids out there who have done it, we thought we’d have a bit of a look to see what resources are out there that can give children some guidance. If your kids have no computer programming knowledge and have no interest in trying to learn any programming, but they still want to make something cool, then they should probably start off with an app creation tool. If your kids know some programming and are motivated and open to learning more, then they would most likely be best trying a third party platform. If your kids are really good programmers, super motivated to learn new stuff and are not afraid of a challenge then they just might be able to create something from scratch. If your kids don’t want to learn to program then they are going to need to find an app creation tool (aka app creator, app maker, app builder, or brochureware) that can help them make the type of product that they want. An app creation tool is basically a program or a type of software that allows non-programmers to easily create software with programming features. They are usually quite easy to use and you can get something created quickly. Some of the things to keep in mind if your kids are using an app creation tool: they won’t have the kind of control over the app that they would if they were building from scratch, they won’t able to produce complex features or design and the app may not run as quickly or as smoothly on slower devices or older phones. There are lots of authoring tools to choose from, (many more not included in this list). The following all claim to allow their users to create apps without writing any code. Game Salad is an app creator that lets non-programmers develop games for iPhone and Android devices using drag and drop features. Gamemaker allows you to create many types of computer games without the need to write a single line of code. It allows users to make the game in Gamemaker and then redistribute on multiple platforms including iOS and Android. 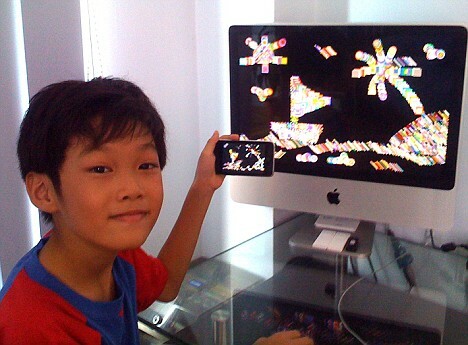 Stencyl helps you create iOS and Flash 2D games quickly with or without coding. Construct2 allows users to build 2D games without any coding that are then exported or converted to iOS or Android. App Inventor for Android helps kids or adults create mobile applications for Android-powered devices without writing any code. Buzztouch allows anyone to create an iPhone app in a few minutes without special knowledge or software. These are mostly aimed at small business owners but if kids want to create a non-game based application they can give it a try. iBuildApp is a site that lets you make iPhone, iPad, Android or HTML5 mobile apps for free. If your kids are non-programmers but are interested in learning a bit more about the whole mobile applications process, check out Book 1: Diving In – iOS App Development for Non-Programmers Series. If your kids have a good amount of programming knowledge but aren’t hard-core programmers, there are a number of third party platforms or frameworks that are a great option for kids to try out if they are trying to create something new. Most of the kids who have created apps have used these platforms in one way or another. Your kids won’t have the kind of control that they would if they were building from scratch, but realistically they are the best option for kids. Corona SDK is a mobile 2d game development framework that uses Lua as its programming language. Lua is considered by many programmers to be an easy programming language to learn and in some cases ideal for kids to use. Here is a great list of tutorials on how to use Corona. Cocos 2d iphone is a framework for building 2D games, demos, and other graphical/interactive applications. It is based on the cocos2d design: It uses the same concepts, but instead of using Python, it uses Objective-C. Unity 3d helps its users create interactive 3D games that can be converted to different platforms. Unity 3D would be a good choice for a kid who is very advanced with programming, but not wanting to build a game from scratch. Have a look at tutorials to help get started. There are a number of really good online tutorials that can be helpful if kids are looking to improve their coding skills. Try Code Academy, Code School HTML/CSS or TeamTreehouse. You can also try Make Games with Us which has an in-browser Xcode simulator and tutorials that are very useful. We would not recommend kids actually trying to create a mobile applications from scratch since it is pretty hard for even seasoned programmers, but who knows what some kids might be able to accomplish so we thought why not put in some info just in case. They need to have a good understanding of Object Oriented Programming (OOP); knowledge of a programming language like Java or C++ is highly recommended. They will need a Mac computer. They will have to pay $99 to join Apple’s iOS developer program before you can submit an app to the App Store. They will need to download xCode Apple’s Software Development Kit (this is free). They will need to learn the Cocoa framework which is an Apple specific development environment. Learning to use xCode, Cocoa and Objective C are not easy, luckily there are a lot of resources kids can reference to try and get going. 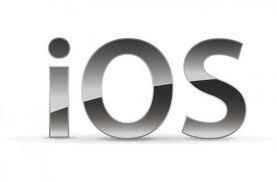 Beginning iOS 6 Development: Exploring the iOS SDK is a very popular iOS programming book. Cocoa Programming for Mac OS X (4th Edition) there aren’t a lot of books for Cocoa here is one to get started with. Lots of people recommend the very popular iPhone and iPad Stanford course by Paul Hegarty on iTunes, but it would probably be a bit too much for kids/teens. Instead you could try Code School’s Try iOS or Try Objective C tutorials. TeamTreehouse also has some tutorials on iOS Development. As with IOS programming, your child or student should have a strong programming background; knowledge of a programming language such as C++, Java, or PHP is highly recommended. They can use a Windows, Mac or Linux computer. 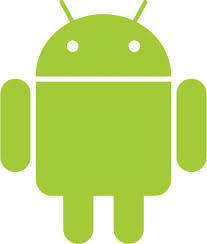 They will need to download the Android software development kit (free). They will need to learn Java. Google’s Android developer Web site has a collection of guides on using the different tool kits for creating Android applications. Android Programming: The Big Nerd Ranch Guide is a very popular and well reviewed book on how to begin to program for Android. Beginning Android Games is another great book to try out if your kids are interested in getting into Android programming. Android Application Development All-in-One For Dummies is another option. The Dummies books are often a good choice for kids. Team Treehouse has some Android Development online tutorials. Hopefully if your kids are curious about making apps, you were able to find something here. If you have any thoughts on kids doing app development or any tips for kids please leave a comment.